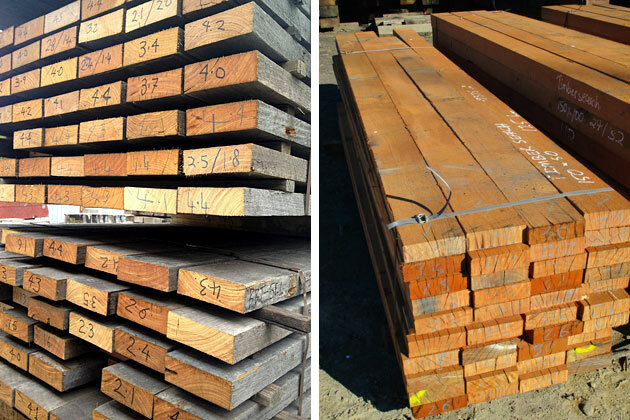 As the name suggests, Timbersearch locates rare timber lots from industrial sites and heritage demolitions across Victoria and NSW. 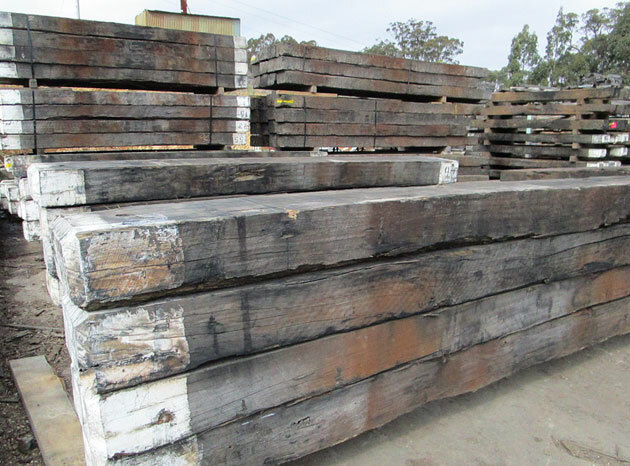 Large section wharf, pier, wool store and railway timbers are shipped to the Woodend yard to be resold or reconfigured for new designs. 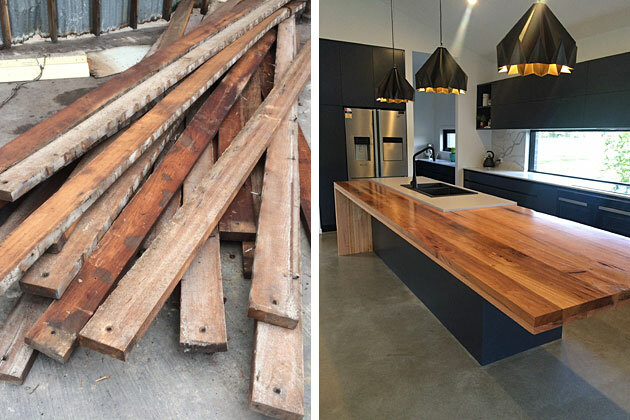 If you’re looking for recycled timber Timbersearch should definitely be on your radar. 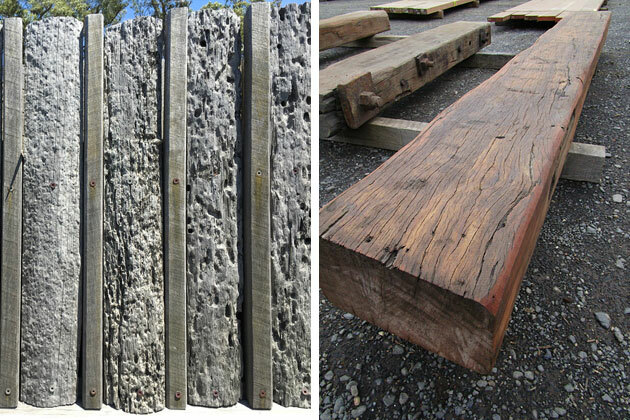 Peter Barnard has been buying and selling premium timber for over 20 years and knows how to get spectacular results from weathered woodpiles. 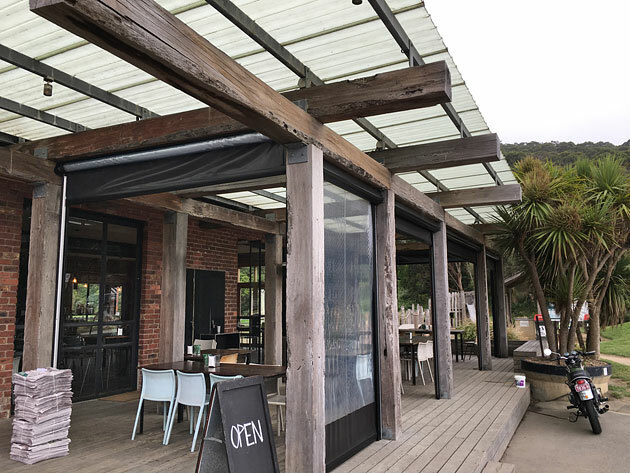 Whether you need one post or feature timber for a whole building, Timbersearch has a wide selection and a friendly team to help you choose the most suitable species, structural classifications and processing needs for your project. 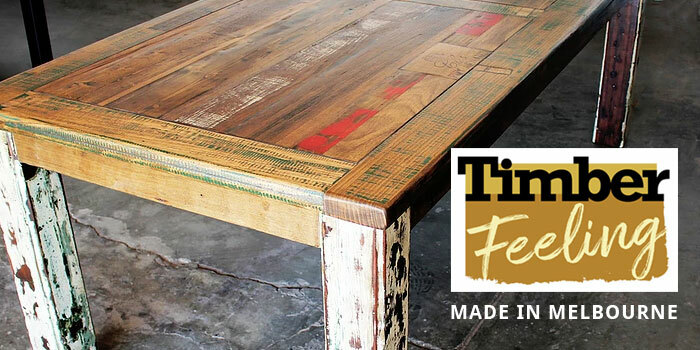 One of the most exciting features of recycled timber is its aesthetic versatility. You can choose to keep weathered surfaces silvered and rustic. You can apply different levels of wire-brushing or sanding to bring out grain and colour. Or you can polish interior sections to new-look perfection. Timbersearch specialises in creative finishes so don’t forget to run through brushing, sanding and oiling options to complete your look. 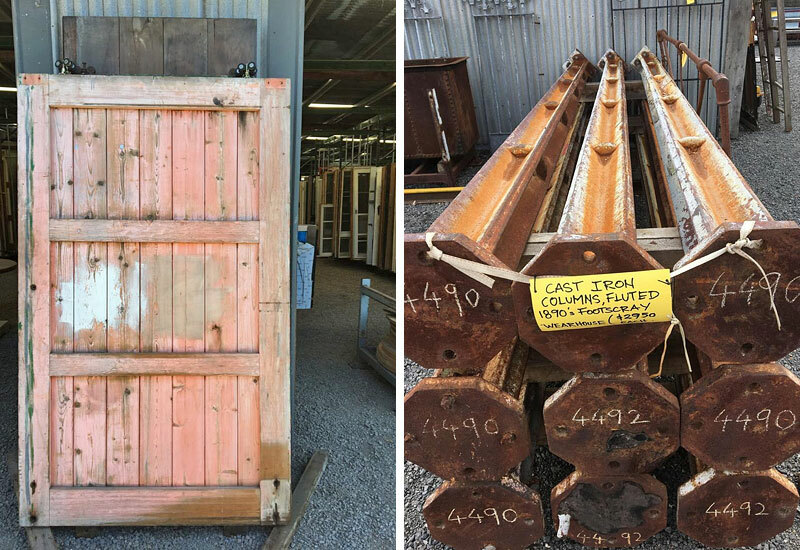 Highly sought after heritage timber retains ax marks, bolt holes or original ironwork that adds atmosphere to modern builds. Less featured sections machine beautifully to dense, fine-grained furniture timbers. Timbersearch stocks a range of breathtaking dressed timbers and employs a qualified cabinet maker if you need assistance assembling tables, bench tops, barn doors, shelving and other joinery items. 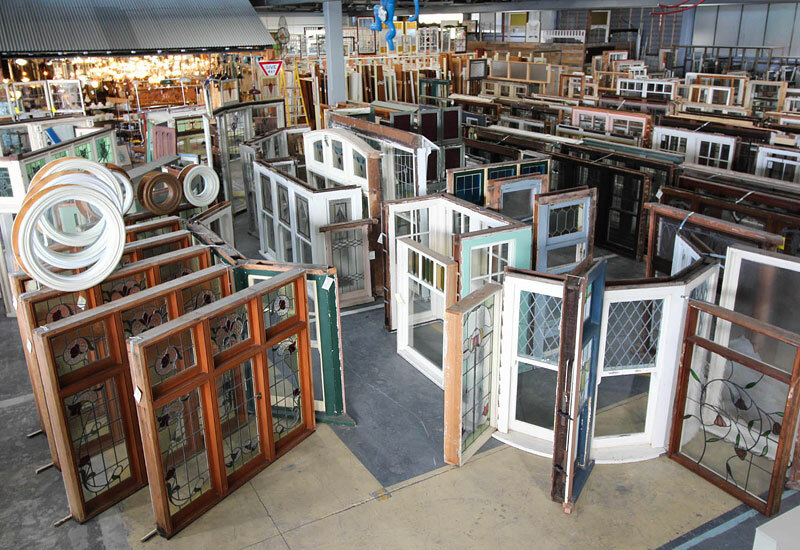 To select timber you can view samples and products on the Timbersearch website or head straight for the action at the Woodend yard an hour out of Melbourne. Plenty of space means plenty of stock including new and recycled flooring and decking, pergola beams, and feature hardwoods. Building professionals, owner builders, renovators, landscapers and furniture makers are encouraged to discuss their plans and select suitable timbers with yard staff. 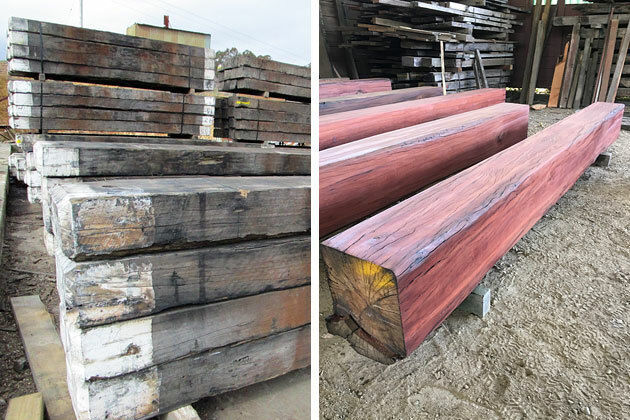 Timbersearch stocks a range of sustainable new timbers but their real heroes are the battered giants that become rarer and more valuable every year. 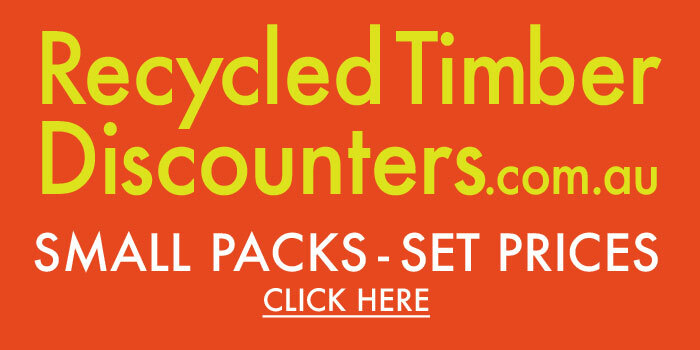 Invest in the best quality you can afford for striking presence and long lasting performance.